Bite into the arancini, and you’ll discover that beneath its crisp, golden exterior is a savoury filling of minced meat. 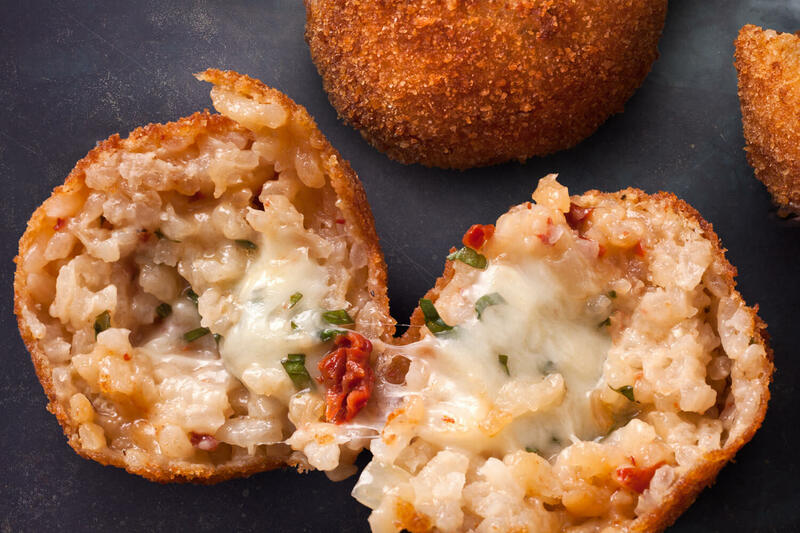 Rich in flavours, this Italian dish of stuffed rice balls contains fillings of ragù (minced meat) and cheese, is coated over with bread crumbs and deep fried. Raise a question about its origin however, and this traditional dish can quickly turn into a topic for debate – particularly among the Sicilians. In Palermo, arancini is rounded in shape, has a feminine name (arancina), contains rice cooked with saffron and has fillings of ragù and cheese, often without tomatoes. But in Catania, it takes on the form of a cone (said to be inspired by Mount Etna), has a masculine name (arancino), contains ragù with tomato sauce (a really yummy lava). While both versions are equally tasty, each region claims to be have come up with the original recipe. This is just one example of how food is, and has always been a way into a country’s history and culture. 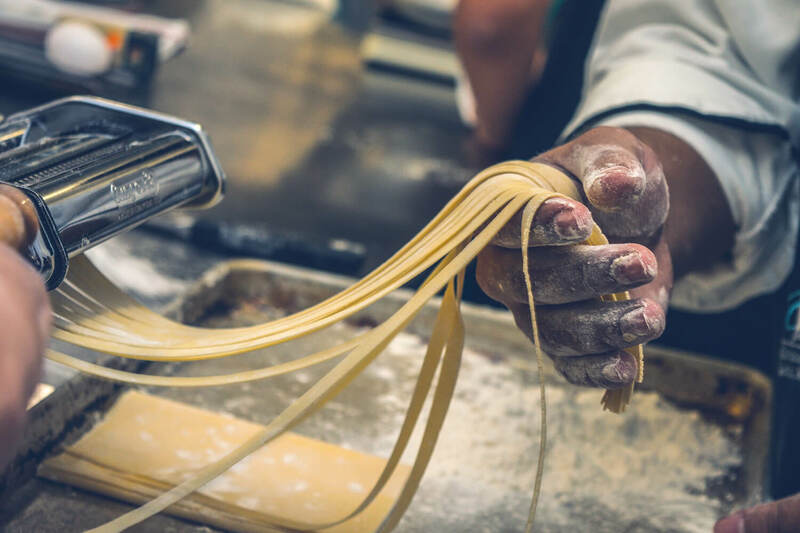 A seemingly simple pasta making class in Rome can be so much more than a cooking lesson; it’s a tactile experience that gives you a feel (and taste) for a country’s culture. Same goes for enjoying a truly Roman feast overlooking the Vatican City or tasting the delicious fresh fish caught by a real Venice seaman. Listening to your host as he carefully explains the origin of each ingredient and shares the best of his knowledge of the food traditions of the Romans or Venetians, you’ll not only uncover new insights, but also develop a new found appreciation for a dish you’ve probably eaten many many times. The food we eat also tells us a lot about who we are. It sheds light on values that are important to a culture, and reveals the perspectives and way of life of its people. For the Chinese, food is representative of the strong sense of community prevalent among its people. Chinese families dining together do not eat from individual plates, but share their food from communal dishes. For the French, food is pleasure; cooking and eating are both activities to be enjoyed, and mealtimes are relaxed, leisurely affairs. Eating fast and on-the-go, such as grabbing a take out – a common practice in America – isn’t part of the culture. In Italy, food conveys many things – love, warmth, nutrition, history and pleasure – and the Italians talks about food almost all the time, often with staunch local pride. In fact, Italian scholar Elena Kostioukovitch even wrote a book on it, aptly titled Why Italians Love to Talk About Food. 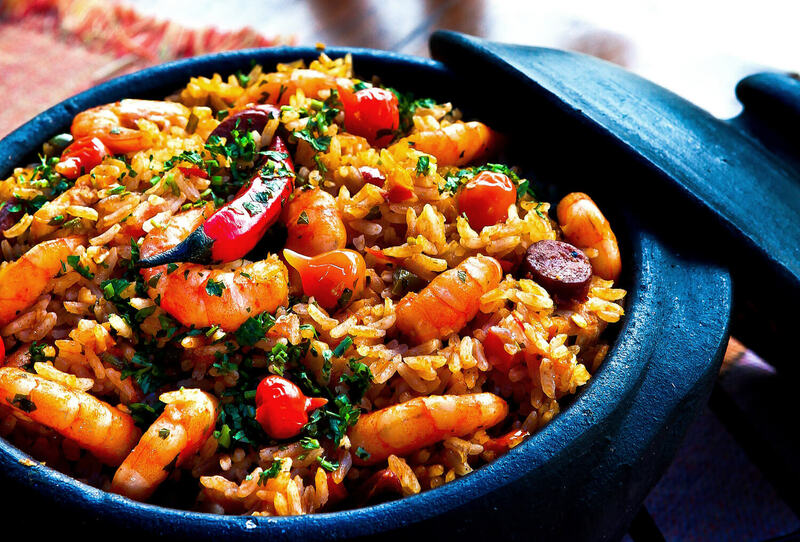 And in Spain, eating and drinking are social affairs; people rub shoulders in cafes, tapas bar hopping is a common way to enjoy the evening and eating with the locals such as lunch over home-made paella are eventful experiences made all the more memorable by the warm Spanish hospitality of your dining companions. But it’s not just about what we eat; the way we eat and how we prepare our food also tells reveals much about our culture. This is true of food cultures all around the world: a typical dinner party in Paris, where well-loved classics like boeuf bourguignon (slow-cooked beef stew) and hachis parmentier (a dish similar to cottage pie) are given a modern twist is representative of the city’s vibrant culture and contemporary cooking scene. And in Singapore – a city with a reputation for being a foodie paradise – there is an incredible hawker food scene; the mind-boggling diversity of stalls and cuisines you’ll find in a single hawker centre is a reflection of the melting pot of cultures found within the cosmopolitan city. Do you really want to experience a local culture? Take a break from taking selfies in front of tourist landmarks and start exploring the local cuisine. 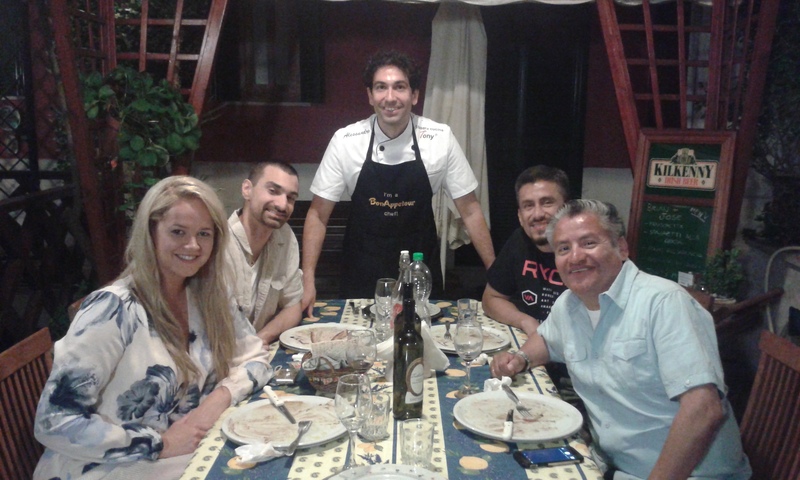 Immerse yourself in the local culture by breaking bread with locals. In a world where travel is made widely accessible, what were once unique, magical experiences are now being increasingly commoditised. Amidst the clutter of ubiquitous tour itineraries, how does one seek out authentic experiences? And what does it mean to travel right? Where has the magic of travel experiences gone? While the advent of new technologies may have made travel accessible to the masses, it has also taken away some of its allure. 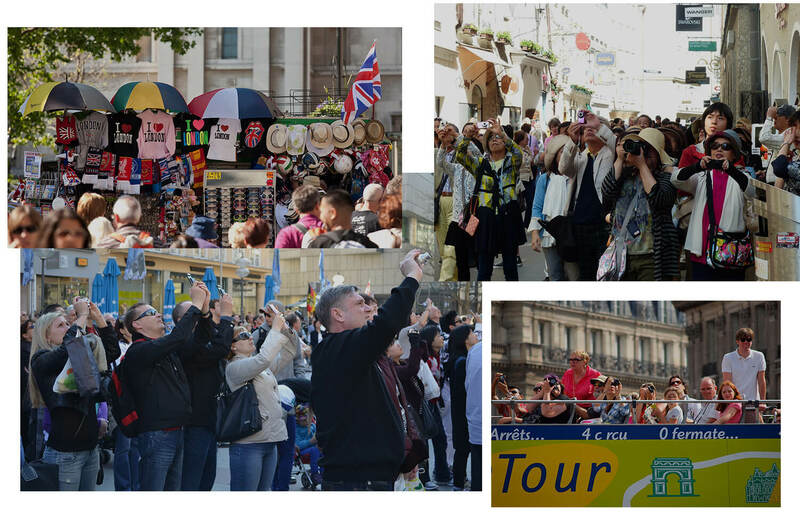 Travel experiences are increasingly being commoditised – how many times have you been part of a long, snaking queue of tourists, each attempting to capture the most Instagram-worthy angle of an oft-photographed landmark? Each vacationer tries to cram 10 attractions into a four-day itinerary or races against the clock to see widely-known attractions – yet never makes time for authentic, local experiences that are unique to a destination. That’s not to say that crafting an authentic travel experience for yourself is impossible – but it certainly takes work, and could wind up being a research project in itself. After all, you’ll be sieving through endless tour operators and itineraries, each promising to deliver an unordinary travel experience – one that offers all of the “best”, “must-sees” and “must-eats” that a place has to offer. Emerging out of a world of frenetic, cluttered travel experiences is the art of ‘slow travel’ where less is more. This could mean taking time to unwind and relax, to slowly savour an attraction rather than zoom off on a sightseeing spree, to sit down with strangers for a chat or immerse yourself in the local community. It’s how you uncover the essence and magic of travel – which lies in taking in the everyday wonders around you, and getting a feel for experiences and interactions you don’t typically get in your everyday life. Let’s take the example of holiday-making in Paris. While dining out in an upscale Parisian restaurant is an incredible experience, a different kind of fine dining – one that’s held in a 19th century apartment just a skip away from the Champs-Elysées – can be just as memorable. It’s a dinner party, so you’ll be welcomed by your host into her circle of friends, and join in a feast prepared by a local who’s been brought up cooking French classics. The same goes for Rome. While most of the tourists are busy rushing to “top-rated restaurants” they’ve seen in their tourist guides so they can tick off one more item on their “must-do lists”, you can sit down with home-chef Alessandro and enjoy his truly Roman feast overlooking the Vatican City. At other times when in Singapore, the very best of a city’s cuisine are found in its vibrant street food and hawker stall scene. While impossible queues are the norm at popular stalls – some of which are actually Michelin-rated – a specially curated hawker food tour takes care of the hassle of queueing. 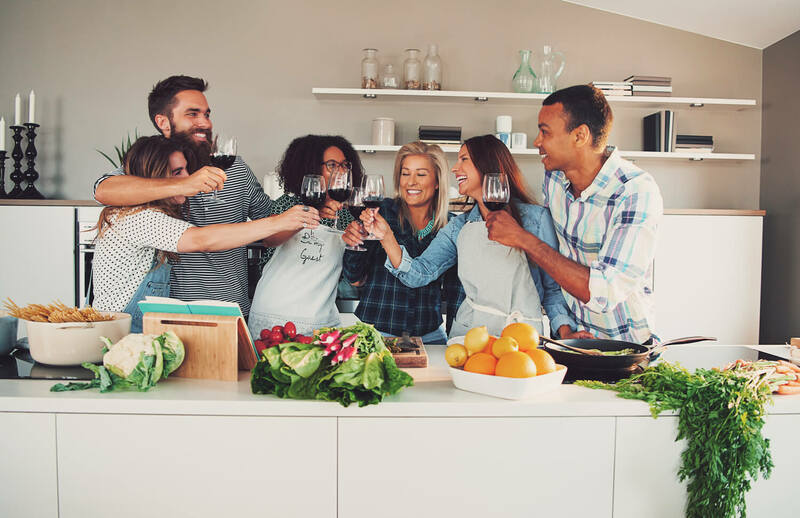 Thanks to hosts who stand in line on your behalf, all that you’ll experience of the tour are delectable dishes enjoyed in the company of fellow foodies. And while food may be the main draw here, it’s other elements coming into play that makes the whole experience unforgettable – like newfound friendships forged over shared meals, getting a local’s insights into traditions you’ve never heard about and taking the time to be in a single place to bask in the warmth and intimacy of deep conversations and heartfelt interactions. The slow travel, as the world calls it, where people prefer magical experiences over commoditised tourist clichés. Children are curious by nature. Less cautious and more open-minded than us adults, they are able to transcend language barriers and make friends when presented with the opportunity to. Over the course of our travels with kids, we have witnessed how they are able to socialize easily with other children and adults, regardless of nationality. So, what are some ways you can help your children to make friends while on vacation? With platforms like AirBnb and HomeAway, travellers can now stay with hosts in a vacation rental rather than in hotels. 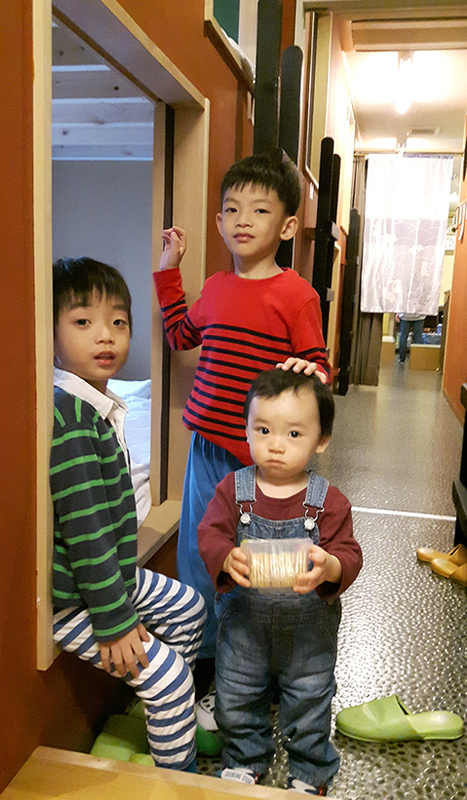 When we stayed at a family-run hostel in Otaru and their family, our boys helped “babysit” the hostel owner’s 1 year old son, who bounced around behind our boys throughout the hostel. He was so happy to have other kids coming to play with him! The owner of the farmhouse that we stayed at in Kyoto also bought little toys for the boys which he picked up from the local supermarket while doing his grocery shopping. If you are not comfortable with staying in vacation rentals, no worries. 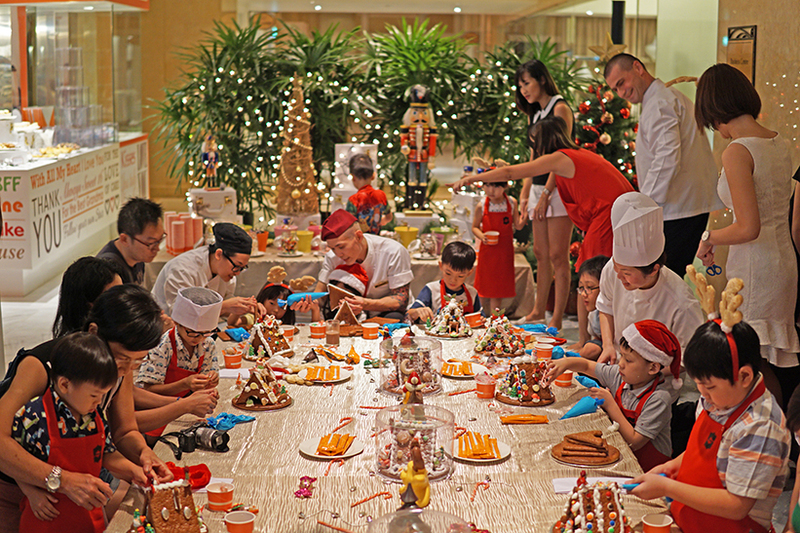 Many hotels and resorts these days have a Kids Club for children to gather and mingle during their stay. 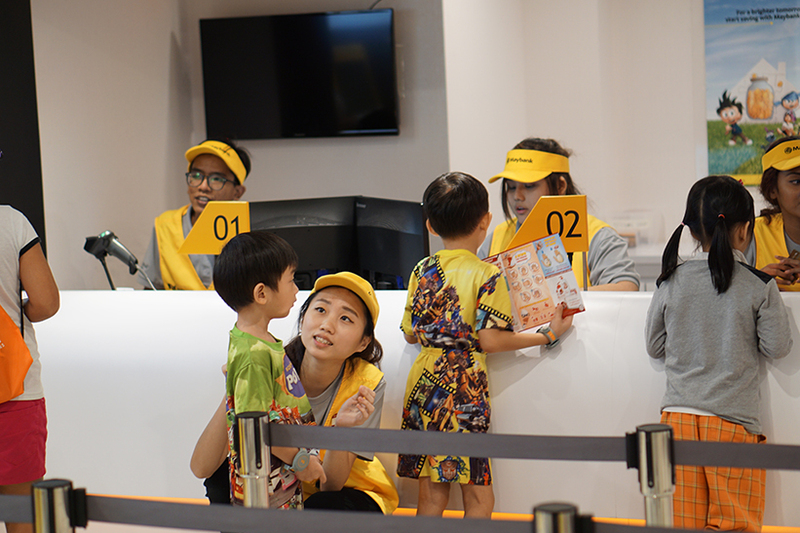 If you stay long enough in the hotel or resort, pretty soon your children would be friends with the other children at the Kids Club – and also the staff! If you like the idea of visiting a local home, but you’re not comfortable with staying under the same roof as the host, no worries. What if I told you that you could still visit a local home where you will be treated to a home-cooked meal by your host? 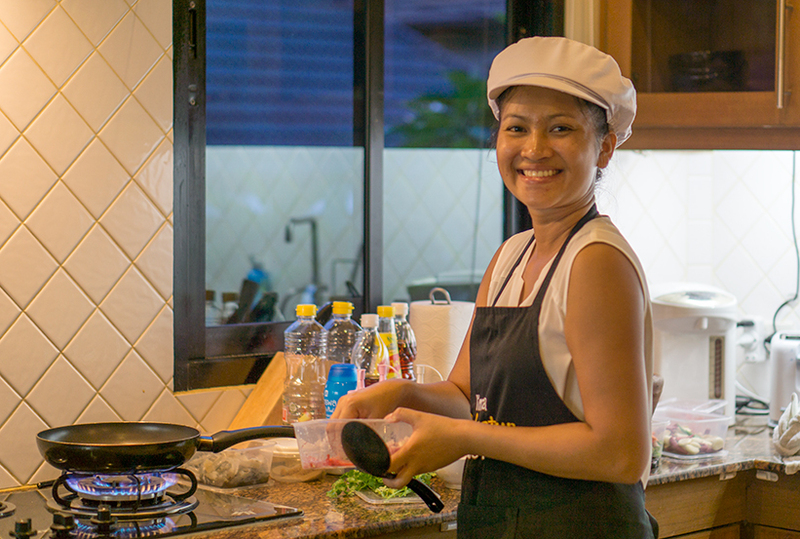 BonAppetour links travelers to carefully curated hosts who will serve you a delicious meal and wonderful memories. Send a message to hosts in the city you are visiting to find out if they are able to host your family with children, and where available, pick out hosts who have children of their own. They will be more than happy to have your children over as playmates for their own children! 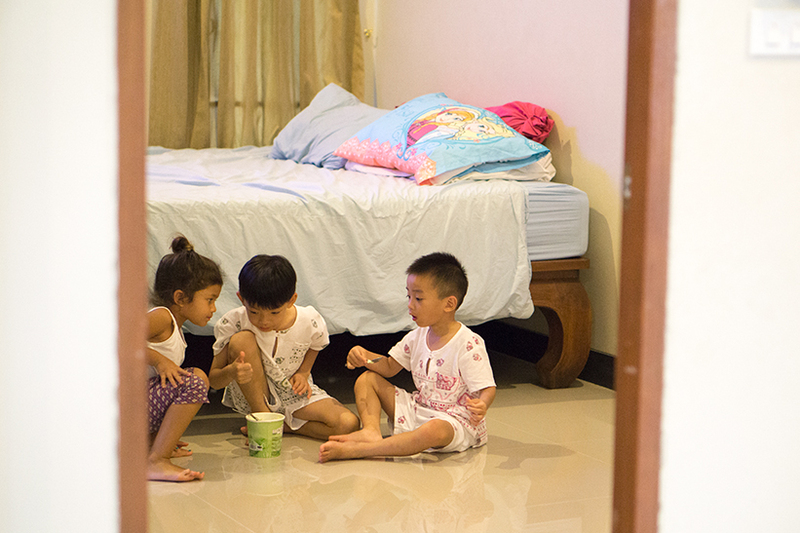 When we were in Phuket, the boys not only made friends with our host’s daughter, they ended up having their own kids-only ice-cream party in the room! 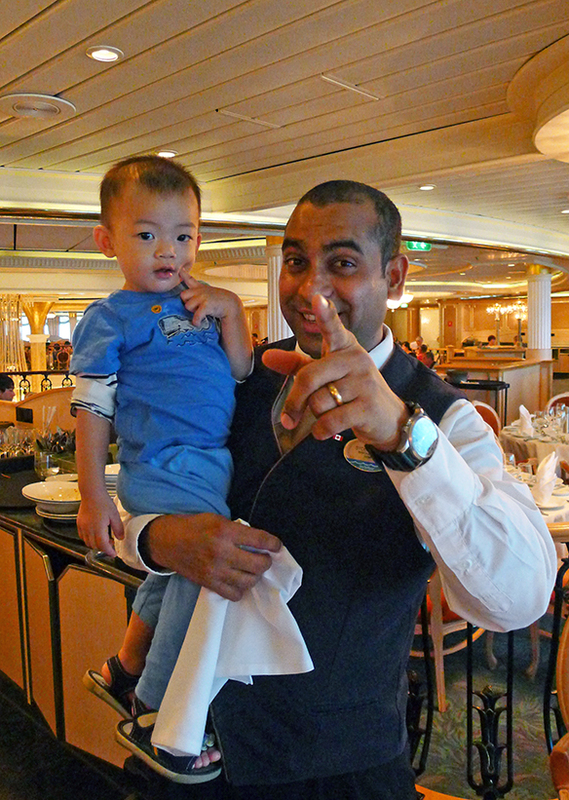 When you are moving from city to city on a single cruise ship for a few days, you can’t help but make friends with fellow passengers on the same ship. 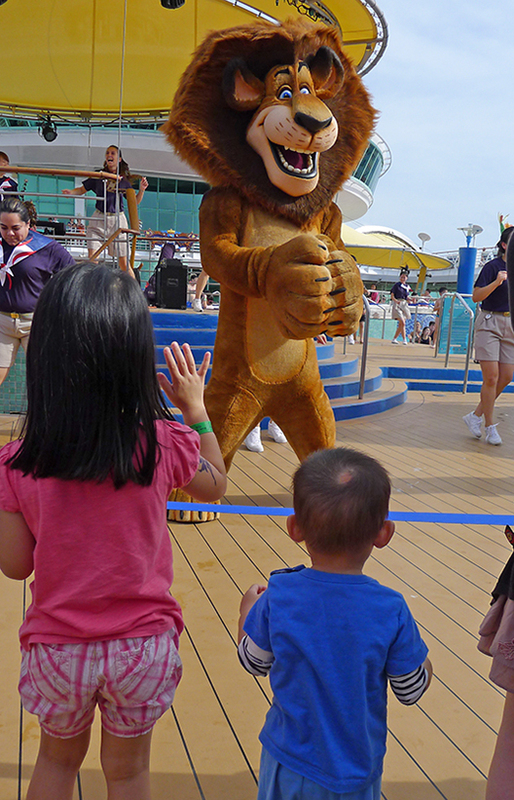 Many cruise ships have organised activities for children on board, and your kids will get to interact with children from all over the world through playgroups (for babies and toddlers) and adventure clubs (for older children). Chances are that they would even make friends with the friendly waiter who serves you dinner every evening! Before visiting a city, google around for classes for children. 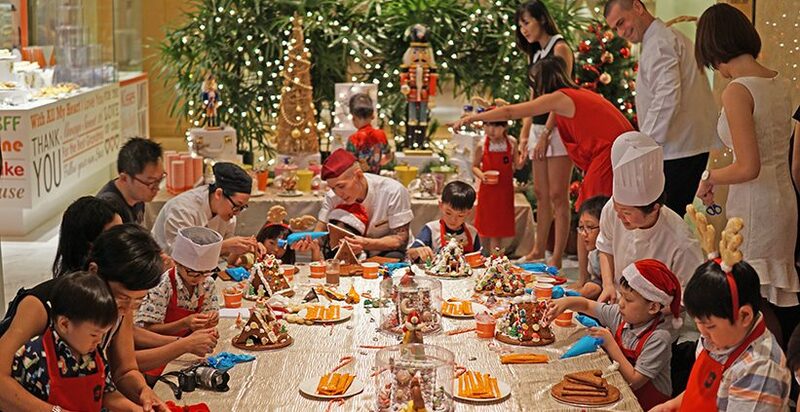 Enrol your child in a kids cooking class like a macaron-making class in France or pizza and pasta-making class in Singapore. If you’re visiting a ski resort in winter, send your kids to the ski school. These are perfect opportunities for children to not only make friends, but to learn something new! A local festival is where everyone lets loose, and locals and travellers alike gather at a common place to mingle. When we were visiting the Hokkaido Shrine Festival, we took a seat along a stream together with the locals to enjoy the food we bought, and our boys went to make friends with the Japanese boy sitting next to them. Despite the language barrier, they even traded some of their candy floss for the boy’s crackers! 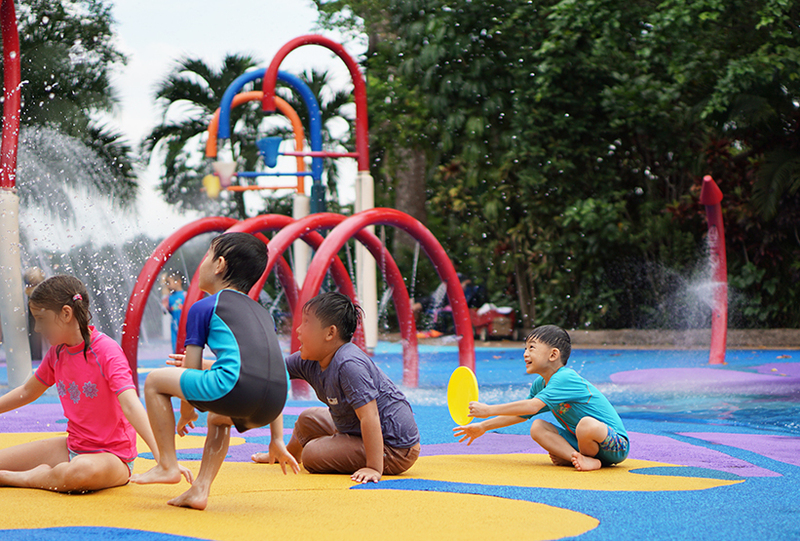 Many kids-friendly attractions around the world have dedicated playgrounds for children. 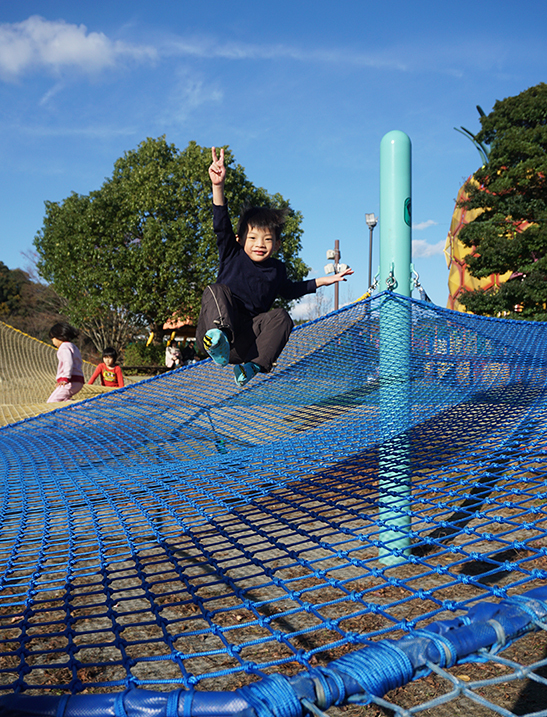 For example, the Singapore Zoo in Singapore and Zoorasia in Yokohama have wonderful playgrounds! If the attraction you are visiting has a playground, allocate ample time for the visit to allow your children to play at the playgrounds. They will have a great time mingling with other children, and will be much happier than if they were rushed from point to point to check off the attractions you have on your list (admit it, you have that list). 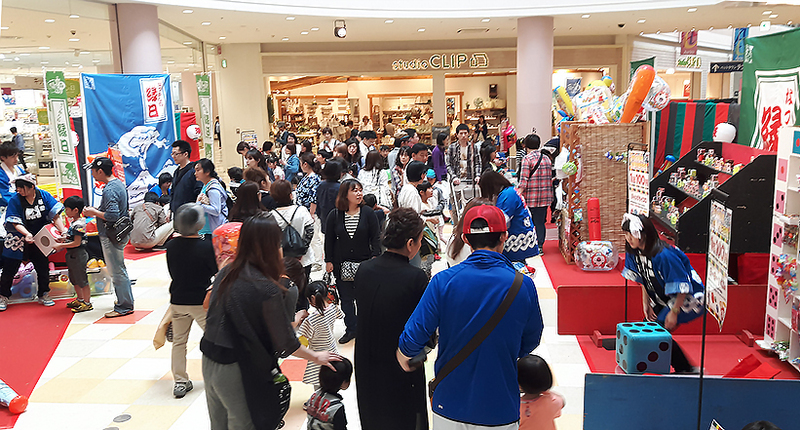 I know many people complain about the long queues at attractions like Tokyo Disneyland and Kidzania. 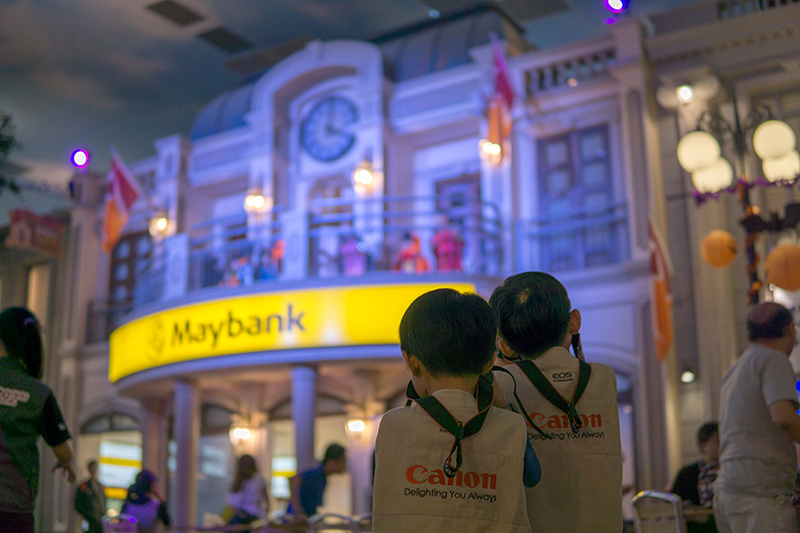 But being stuck in the queue – with other kids – is one of the best time for (bored) kids to make friends. Ditch the smartphone and force your child to try to entertain himself or herself while in line. Chances are, your child will start making friends with the people in front or behind you. Try it! We hope that these tips will enhance your travels by creating opportunities for your children to interact with people from around the world and learn more about the country you are visiting. However, always exercise due vigilance, and keep your children under close supervision at all times. While it is great to socialize, continue to be alert to possible dangers, and teach your children to be cautious and never follow their newfound friends anywhere without you. Alessandro, a trained chef and sommelier from Rome, still remembers the dishes of his traditional Italian childhood, which were classics like “homemade pasta, gnocchi, pizza, and Roman dishes.” From there, Alessandro became well-versed in the flavours of his country. The first dish he ever made? Classic homemade fettuccine in a tomato sauce. I worked and studied at the Marriott Hotel in Rome. There I underwent training to become the Chef of the Hotel. Once I had my chef’s diploma I looked into Sommelier qualifications and registered at the Worldwide Sommelier Association, becoming Rome Cavalieri Hotel’s official sommelier. 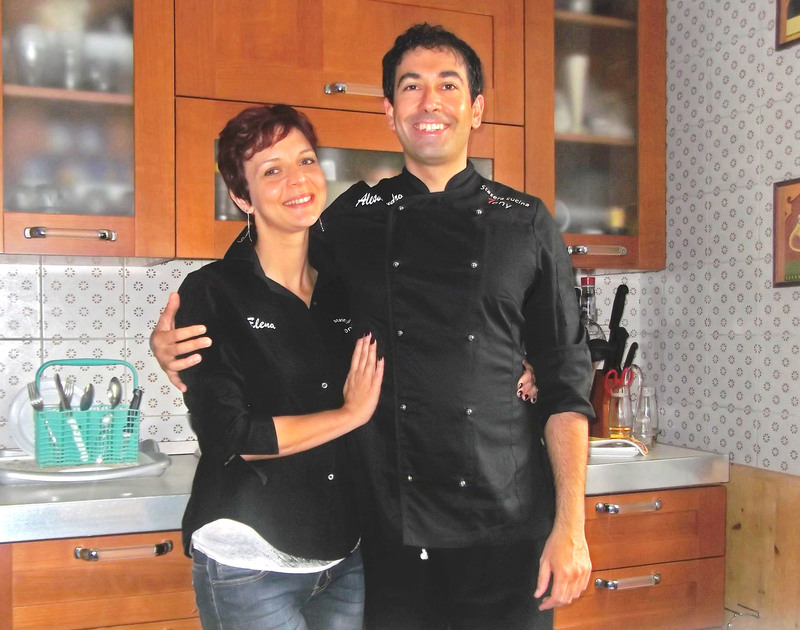 Being a hotel chef was a fantastic learning curve for Alessandro, but interaction with the people he was feeding was something he felt was missing. This skilful chef decided to take the plunge into social dining, and bring his professional cooking skills back to his own kitchen by opening a home restaurant with a stunning view of the Vatican. “I wanted to organise these social dining experiences where I could see my guests enjoying the fruits of my labour, and I could engage with them too,” he explains, which is something he did not get the opportunity to do as a chef in a hotel. 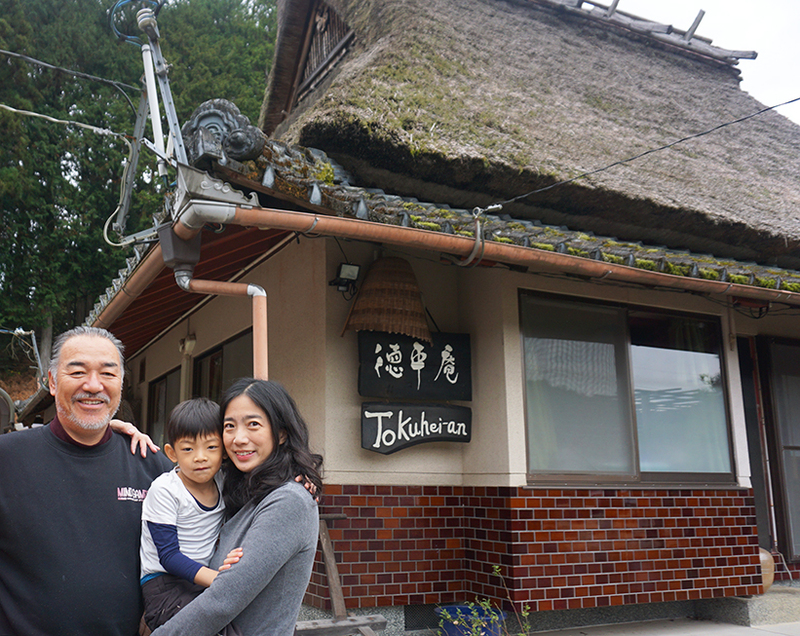 The best way to experience a new country is to taste the dishes borne of family tradition. Host Alessandro wants to help you experience the Rome with dishes handed down by his mother, and his grandmother, and for you to take a little taste of Italy back with you. Clean the mussels, put them into a pan with garlic, extra virgin olive oil, and chili pepper. Cook covered until they are opened. In another pan, put fresh tomatoes, garlic, and extra virgin olive oil. Cook covered for about 5 minutes, add the mussels and a part of their liquid, previously filtered. 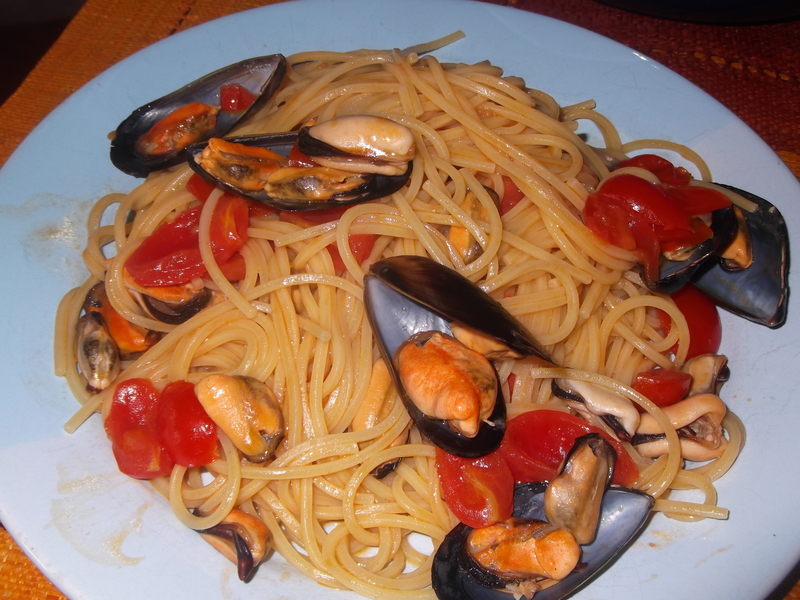 Cook the pasta in salted water, drain it al dente and toss in pan with the sauce, adding the remaining liquid from the mussels if necessary. Want to enjoy a truly Roman feast with a view of the Vatican City? You can book a seat at Alessandro’s home restaurant over here.